Enjoy fresh ground coffee from ALTERRA COFFEE ROASTERS, real leaf tea from THE BRIGHT TEA CO, and delicious GALAXY hot chocolate, perfectly prepared in seconds thanks to FLAVIA FRESH RELEASE technology. The Flavia Creation 500 is designed to offer years of clean, dependable, and efficient service. As it only brews one cup at a time, it creates nothing in the way of mess or spillages. It is quick to clean and fill, and capable of producing fresh drinks in no more than 40 seconds. When you consider how long it takes to fill and boil a kettle, you might begin to appreciate just how much more efficient it is to have a Flavia in the office. Manufactured by Mars Drinks, the Flavia Creation 500 is compatible with over 25 drink varieties. The innovative Freshpacks serve to contain and preserve freshness and flavour, and they deliver the perfect brew, every time. The range of drinks includes so many beloved favourites that you’re bound to satisfy everyone in the office. The Alterra selection of Rainforest Alliance and UTZ certified coffee includes a choice of blends to suit every palate, from the light and smooth to the dark and intense. In addition, the Flavia Creation 500 is compatible with an unrivaled selection of full flavoured, real leaf teas. Again, there’s something for everyone, including standard black teas, green teas, and some irresistible herbal infusions. Finally, for truly indulgent moments of respite, you can also choose silky and smooth Galaxy Hot Chocolate. 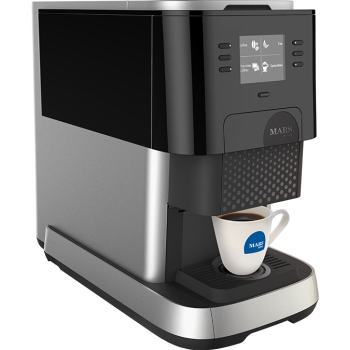 Whether it’s the vital first cup of the day; a pick-me-up during the afternoon slump; or the essential fuel for those all-nighters; the Flavia Creation 500 is designed to be there for everyone, all the time. As a Mars Drinks Platinum Partner, we've placed thousands of Flavia machines including the C500 and Flavia Barista with our happy customers and are delighted that they offer so much efficiency, reliability and choice as well as stylish good looks. The new Flavia Creation 500 offers a huge variety of freshly brewed coffees, leaf teas, hot chocolate and speciality drinks including lattes, cappuccinos and mochas. Designed exclusively for the workplace, the Creation 500 combines the best-loved professional features and industry-leading reliability of the exceptionally popular Flavia Creation 400 with a stylish new look. Whether you prefer to buy, lease, rent or pay only for drinks, take advantage of our best price guarantee and bring this leading office coffee machine to your workplace today.